On January 15, Wikipedia, the free online encyclopaedia celebrated its 15th birthday, meeting this milestone with 36 million articles in more than 290 languages (the English-language Wikipedia alone has crossed the 5-million article mark). But here I want to address some major questions that we need to ask as Indians. 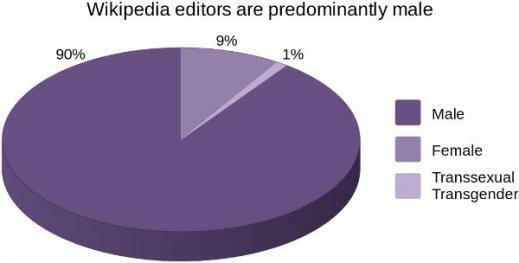 First, what is the state of Indian-language Wikipedia projects? What does India have to take from and give to Wikipedia? With the growth of free and open source software in India, people are equipped with more freedom than ever. Especially with the recent federal policy-level changes, the nation is enjoying better collaboration with people of different cultures speaking different languages. According to UNESCO, 197 of the total of 1652 Indian languages are dying despite having a long literary and linguistic heritage. However, there is a huge gap in the access to knowledge on the internet domain. Of a population of about 1.26 billion only about 15-18% people are connected online, largely from mobile devices. A tiny fraction of this population comprises the technical community. It would be useful to have a metric on the percentage of this community's contribution to grow the languages of this country and its cultural heritage. Wikipedia is not just an encyclopaedia. It is also a "family" of several other Open Knowledge members. Wikipedia itself is available in over 290 languages, but it also has other multilingual sister projects such as Wikisource (an online library of many public domain and other important texts), Wikimedia Commons (the world's largest repository of media files and documents), Wikibooks (a free library of educational textbooks), Wikivoyage (a free and open travel guide) and Wiktionary (a database of various languages). These projects don't just house millions of images, videos, documents and texts, but allow anyone to contribute their knowledge to this ever deepening pool of information. Four Indian languages made an early entry to the Wiki-world back in 2002: Assamese, Malayalam, Odia, and Punjabi. A map of dying Indian languages. 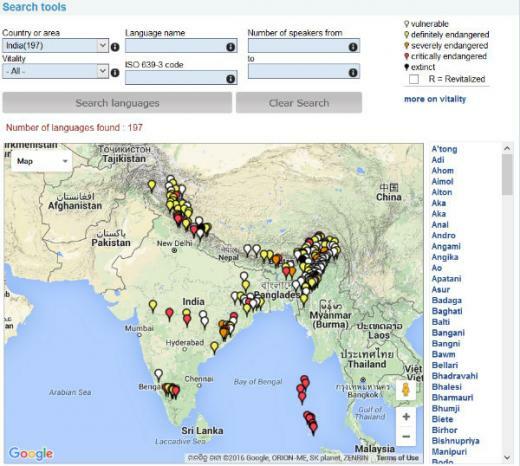 Source: UNESCO Interactive Atlas of the World's Languages in Danger. According to UNESCO, 197 of the total of 1652 Indian languages are dying despite having a long literary and linguistic heritage. It's quite shocking. In a blog post on content localisation, social entrepreneur Rajesh Ranjan asks if free and open source software can help save these dying languages. In the context of Wikipedia, there are already 23 South Asian-language projects. Out of these 20 are languages listed in the 8th schedule of the Constitution of India. Many might not have noticed that the "en" in the URL of Wikipedia that denotes the language code of English could be altered with "or" for Odia Wikipedia or "pa" for Punjabi Wikipedia. Most Wikipedia projects in Indian language projects are relatively small compared to their counterparts. But the Wikimedia communities are thriving. There are a fairly large number of native speakers waiting out there to access knowledge in their own languages. When only parts of government websites are available in Hindi, the Hindi Wikipedia has crossed 0.1 million articles already. The Tamil and Malayalam Wikipedia communities have played a central part in implementing Wikipedia basics learning in the state-run school syllabus. Needless to say that these communities have played a significant role in implementing several free and open source software by pushing for policy-level change. Many Indian languages are in the pipeline to become active Wikipedia projects under the scope of the Wikimedia Incubator. Maithili Wikipedia and Goan Konkani Wikipedia are the two Indian-language Wikipedias that have gone live in recent years. The world has seen how digital activism has brought a new life to the Hebrew language. There are a fairly large number of native speakers waiting out there to access knowledge in their own languages. Wikipedia could be a great tool for digital activism with openness and sharing. India tops South Asia in the gender inequality index in the entire South Asia. The female literacy rate is an alarmingly low 65.46% as compared to 82.14% for men. This disparity is evident in many other sectors as well as in politics. But gender bias is not just a problem in India. The global free and open source software (FOSS) community has always been worried about the low presence of women contributors—in the range of 2-5% range. Wikimedia Foundation's former executive director admitted that Wikipedia, like many other collaborative and open projects, does not have a conducive environment for women. But the Wikimedia community and Wikimedia Foundation are both working on improving this state of affairs. Indian-language Wikipedia projects are directly impacted by this global drive, be it the Women's History Month edit-a-thon where Wikipedia content largely related to women are improved every year or the Lilavati's Daughters project where biographies of Indian women scientists were created and enriched in Wikipedia projects. With a population of over 354 million netizens India still has a long way to go in increasing Indian language content on the web. The Government of India's new campaign Digital India aims at digital literacy and availability of digital resources/services in Indian languages. This is closely aligned with the Wikimedia movement's goal to provide free access to the sum of all human knowledge. In addition to Wikipedia, many other open educational resources and free knowledge projects that are not already a part of the Digital India campaign signal the need for the federal-run campaign to be more collaborative and open. Community-government collaborations like the NROER project to make NCERT books under Creative Commons licenses and IT@School project in the state of Kerala to provide education using free and open tools have gained massive traction and helped more Indian language content come online. Reposted from Huffington Post with permission. For more reading on this subject, check out Indian government includes open source in RFPs. Subhashish, this is a wonderfully written article. I hope the initiative Digital India helps to introduce quality digital resources for more Indian languages. Glad you found it useful, Neerav - -thanks. I am quite hopeful for the Digitial India initiative as well. Let's see where it is going.